and helps her grow through tragedy like a tiny acorn turns into a majestic oak. Meg’s mother is having a breakdown, and Meg can’t cope. she discovers an old oak tree whose revelations begin to change her life. Beneath the Old Oak is released through BHC Press on 16th October and is a novel that will completely captivate you. “I was awake until about 1am reading this one. I could have put it down anytime, just didn’t want to. This story leans heavily to the subject of depression. There are many of those on the kindle, few quite as believable, even less as credible. The family with a single child are wonderfully developed as they are deeply troubled. A father who goes to work and his involvement limited in their troubled life, a mother slowly slipping away from all of them, and a young girl with too much weight on her shoulders left to clean up the mess. …the oak tree becomes symbolic of the escape from harsh reality for both mother and child when there are so many issues that should be confronted, so many secrets that should be out in the open. Amazon UK, Amazon US, and your local Amazon. Barnes and Noble, Waterstones, Google Play, Kobo, iTunes, and other online outlets. Beneath the Old Oak is the second book in the Surviving Hope novels, following Beneath the Rainbow already available, and once you’ve been charmed by Beneath the Old Oak you’ll be excited to read Beneath the Distant Star which releases on 11th December – and my publisher has offered a number of ARC copies of Beneath the Distant Star through LibraryThing. 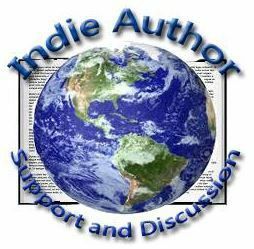 In exchange for an honest review you can read a prepublication copy of Beneath the Distant Star. Pop over, scroll down and request your copy now. This entry was posted in Beneath the Old Oak, Books, Depression, Emotions, Mental Health, Oak, Reading, self-harm, Surviving Hope and tagged Beneath the Old Oak, BHC Press, book release, contemporary, depression, Family, fiction, mental health, self-harm on 17th October 2018 by Lisa Shambrook. but knowing that you’re not alone is vital to helping you cope. Watching the brilliant Sharp Objects with Amy Adams showed that self-harm is something people are now more willing to talk about, to show, and people are becoming more aware and hopefully understanding. Sharp Objects is an HBO show (Sky Atlantic in the UK), an eight-parter, with Amy Adams starring as emotionally traumatised Camille Preaker and was originally a book written by Gillian Flynn who wrote Gone Girl. 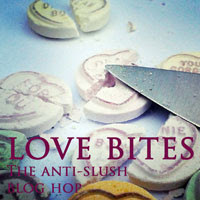 The series concentrates a little more on her trouble with drinking (maybe more socially acceptable?) than Camille’s self-harm as the book does, but with women at the helm as producers and Amy Adams on board as executive producer too, this show is highlighting womens’ trauma in a way I haven’t seen before. It was validating to see a character that I instantly related to. I don’t cut like Camille does, if you watch the show you’ll see just how much her addiction with self-harm has affected her, but I cut and I understand. Camille’s cutting is vast, serious, and deep, but it’s important. When was the last time self-harm was portrayed honestly in general film or television? I’ve watched the first four episodes and though a self-harmer is likely to be triggered – I was – I felt relieved that something so central to my life is not being dumbed down and is being shown as it is for many. Self-harm exists. The toxic society we live in today has seen a rise in those suffering. In October 2017 the NHS reported a study based on teenage girls and there had been a 68% rise in girls self-harming between ages 13 and 16 since 2011. This rise is likely to continue and move into older age groups. It is a myth that only teenage girls self-harm. I know many men and older people who suffer. I began cutting when I was fourteen and I’m now forty-seven and still doing it. It’s an important condition to understand and compassion is vital to those who both live with it themselves and for those who live with a loved one who cuts. If you want to understand Self-harm and learn how to cope with it I have two other posts on the subject: Understanding Self Harm the Myths and Truths and Coping with Self-harm – How to Fight the Urges and Win. 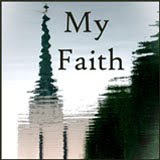 Please take a look to learn more, discover the myths and truth, and how to cope. The most frequent question those who don’t understand ask is: Why do you do it? I recently read Louise Gornall’s Under Rose Tainted Skies about an agoraphobic and Norah also cuts herself. I read one paragraph in tears because it described my relationship with self-harm so well: It works like a shake, a slap, an injection of anaesthetic. I picture it like a never-ending tug-of-war between panic and calm. Self-harm is an impartial observer that steps up with something sharp to sever the rope. The minute the cut is made, both teams fly back, collapse to the ground on top of one another, exhausted. For me, this is why. My self-harm often erupts alongside a panic attack, or when I feel deeply hurt, or just when I am disassociated, angry, or lost and need grounding. In Sharp Objects when Camille bought a small sewing kit I knew exactly why. Sharp objects, I love this title – it covers so much ground – can be the emotions that accompany you, the words people speak, and the objects you cut with. Try to understand, coping mechanisms are different for all of us. When you ask me about my cuts, I’m likely to say it was the cat, but when I do, know that it probably wasn’t. We need to be open, to explore, and understand with compassion, so that those who self-harm feel comfortable to talk, to share, and perhaps to stop. If you are dealing with your own self-harming issues please see your GP, if you can. I am currently taking propranolol to help control panic attacks. It’s a 50/50 thing, but if you can find help, whether it be medication, therapy, counselling, or something else, please do. I also recommend Calm Harm an app designed to help you through a self-harm urge. It helps me with panic attacks too and has been invaluable. Lastly, please know that you are not alone. Awareness is growing and more people are appreciating the need to have coping mechanisms and tools to deal with the lives we are living. There is no shame or guilt with self-harm, but with support and help you may be able to overcome it. They are my battlefield, my personal road map to where I’ve been. They are who I am. This entry was posted in Emotions, Mental Health, self-harm and tagged Amy Adams, Calm Harm, cutting, emotional health, Gillian Flynn, mental health, self-harm, Sharp Objects on 1st August 2018 by Lisa Shambrook. almost to the day, but I still recall the last time I cut. My brain was mush, my stomach swirled and churned, and I could barely breathe with the weight on my chest. My body shook, shivered, and sweat. A mixture of sadness and anger and nausea overcame me and, as rage developed, I took to the knife. It wasn’t an actual knife – my weapon of choice was a pin, a sharp, but innocuous pin, meant to hold material together, but used for destruction instead of creation. It scratched and scratched at my skin until beads of crimson sprang through and it continued as scarlet dripped from my arm. 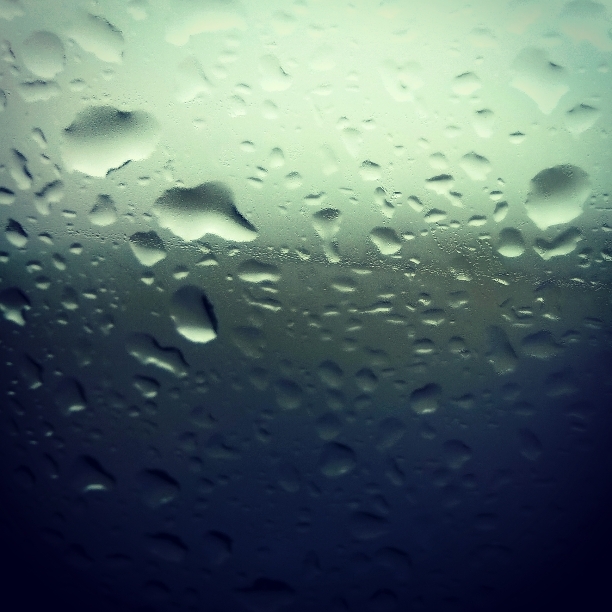 Tears slipped down my face and choked in my throat and I couldn’t even see or feel what I was doing. That scar sits on my arm, an unwanted, but necessary, reminder, just like the others that adorn my skin. I’m not trying to romanticise cutting, but those who do it need to know that they’re not alone, that there are people out there who understand the swathe of emotions and compulsions that attack them – and that they are conquerable. Yes, I mean that, self-harm is conquerable and you can win. 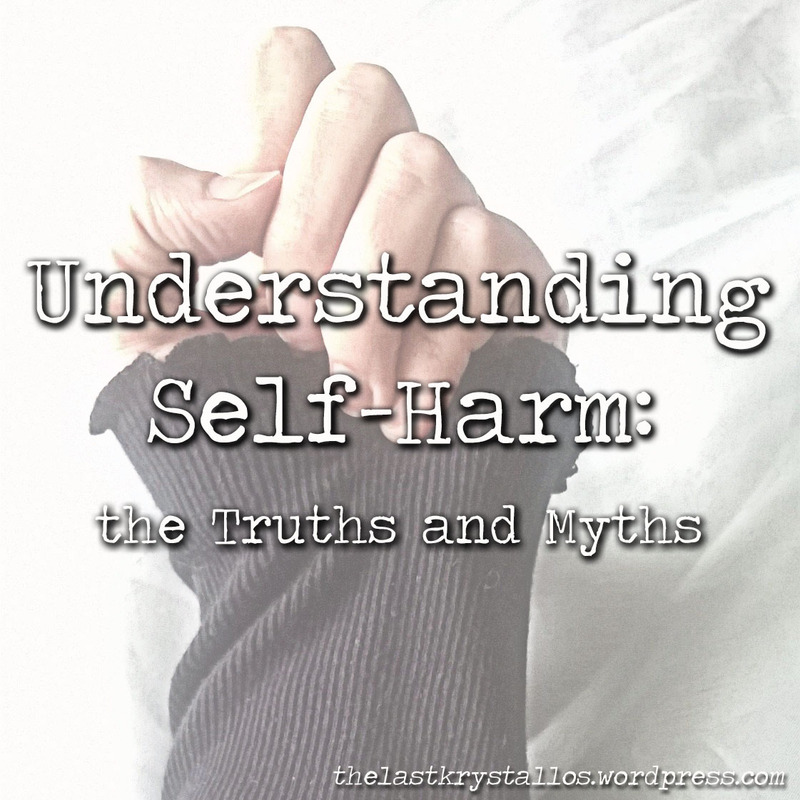 I’ve written before about ways to comprehend, fight and overcome self-harm. If you need to understand or find help please read: Understanding Self-Harm: the Truths and Myths and How to Help. Self-harm, though, is like any other addiction, or learned behaviour, meaning that to defeat it you will need to continuously fight it. Again, I outlined many ways to help in my previous post, but I want to touch on what helps me most. I’ve seen many self-harmers use the talisman/stim approach and it can work. Touching a pendant, stroking a ring, clutching a pebble – all stim behaviours with a totem of choice. I attended a Stress Management course on the NHS, several years ago, when counselling and the such were not available to me, and still aren’t. It gave me many ways to deal with stress and anxiety, but it also tried to encourage those with totems and stims to give them up. They talked about keeping a pebble in your pocket and holding onto it when you felt anxious, something physical and ‘there’. It can help you find strength and courage, I can testify to that, but they tried to inspire those of us that did to train ourselves out of it. Maybe in the long run, it would be better not to have to rely on anything but the strength of your mind, but in the meantime if something works, stick to it! I have a couple of totems and stims. I keep acorn cups or hazelnut shells in my pockets – everywhere – you won’t find a coat or a bag without one in it. These I use for anxiety and prevention of panic and self-harm. My family find it affectionately weird, but love me for it. I’m a squirrel, claiming acorn caps and random nut shells and if I stop on a walk, it’s because I found a new one. 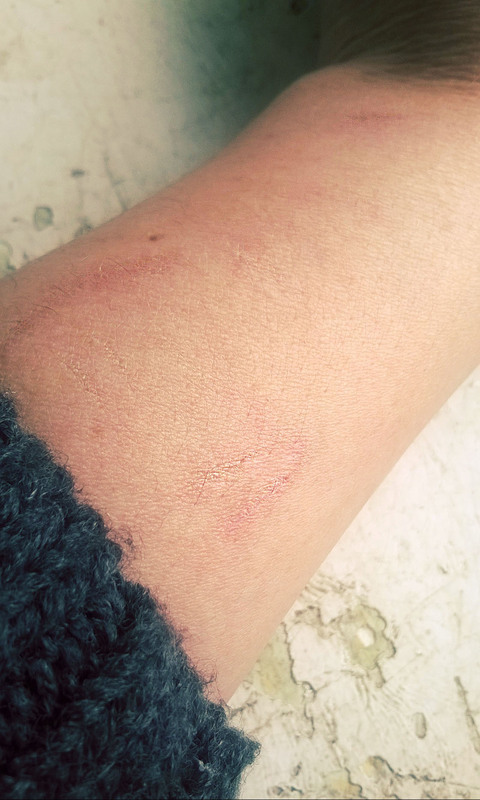 I have other stims, almost unnoticeably nodding my head (since age 12), picking at my lips, and pulling off scabs and habitually making un-self-harm injuries bleed again, and I used to bite my nails – many will relate to that one! These all precede or accompany anxiety and if I recognise them early, I can use my totem to calm me and prevent self-injury or panic. The best way I ward off those urges to harm is to polish an acorn cup or hazelnut shell between my fingers. I do it subtly, quietly and imperceptibly hopefully not to bring attention to myself. People have sometimes seen the acorn cup sitting atop my finger but are often too polite to say anything! Meg’s use is one of habit, an unconscious routine to deal with the anxiety she feels. Sometimes routine, habit and coping strategies bring success, peace and calm. When I am overwhelmed in either the urges I described at the top of this post or with anxiety that feels like it’s crushing me, or panic that’s threatening to push me over the edge, sometimes my acorn cup or my broken-in-half hazelnut shell can calm me enough to prevent more serious behaviour. 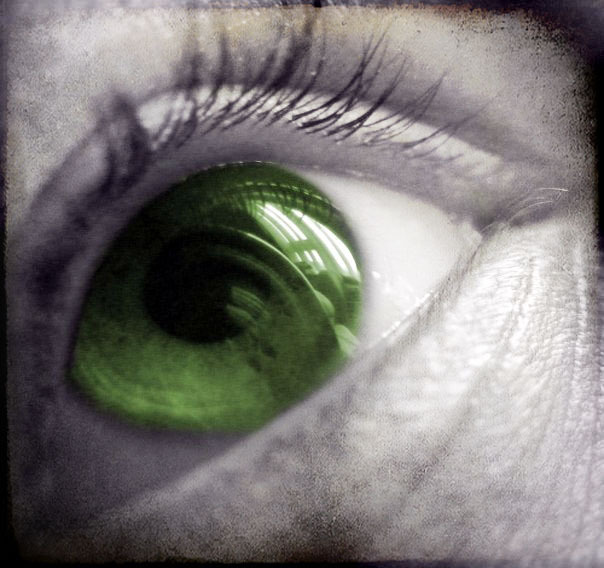 Some people with these stims feel foolish – don’t. If it saves you it’s worth it. I’m an empath – I’ll post about that another day – but suffice to say I feel everything. I feel pain sensitively and exquisitely, and sometimes that’s enough to tip me over the edge. This world is full of personal pain, and sometimes I wish I could dull my sense of discernment. Many of us will need to fine tune our senses and learn to cope with the pain the world throws at us. Coping methods are vital to our survival. In my previous article I point out coping strategies including: rubber bands, taking time out, breathing through, ride it out, distraction, know your triggers, remove yourself, be with people, and finding creative ways to release your emotion and stress. Talismans, totems, and stims can be part of this process and help you to overcome the urges when they hit. But most importantly, know that you’re not alone, that there are people out there who understand and people who have taken time to learn and have compassion. These people will support and help you. Find what you can to help you deal with self-injury, but maybe the most valuable thing will be talking to someone who understands, or who’s been there, someone who can help you understand and love yourself. If you can, be that person. How do you prevent self-destructive urges, or how do you cope with being overwhelmed? who needs to hear what you’ve been through. Self-harm is part of my book ‘Beneath the Old Oak’ and an unedited NaNoWriMo snippet can be read here. To read more of Meg and her mother’s struggles ‘Beneath the Old Oak’ is available on Amazon and Etsy. Meg thinks her mother is broken. Is she broken too? Meg’s life spirals out of control and she’s terrified she’ll inherit her mother’s sins. Seeking refuge and escape she finds solace beneath a huge, old oak, but a devastating storm will change her life forever. This entry was posted in Anxiety, Books, Depression, Emotions, Mental Health, self-harm and tagged Beneath the Old Oak, books, coping, coping strategy, escape, help, learned behaviours, mental health, self-harm, stim, stimming, talisman, totem on 30th March 2016 by Lisa Shambrook. 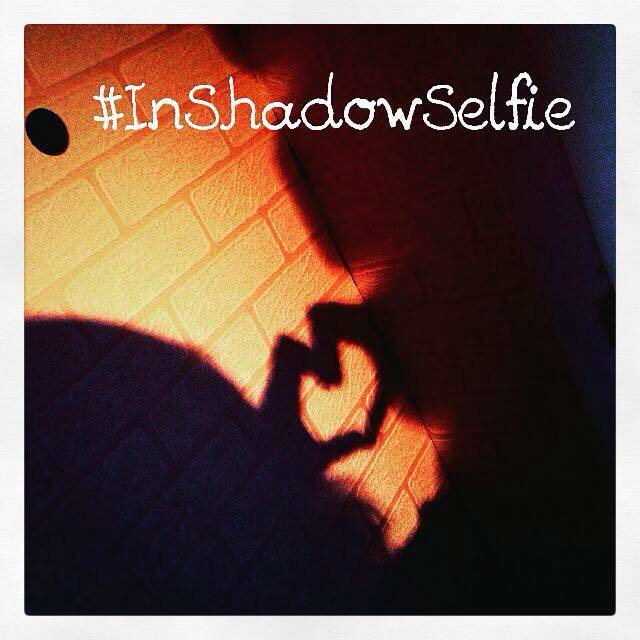 Last week I discovered #InShadowSelfie thought up by Louise Gornall. It was about the same time the DWP updated their list of health issues that come without physical impairment intimating that sufferers of mental illness are quite able to work and should not be allowed benefits. Last week figures were also released from the government giving numbers of those who’d died within six weeks after being refused benefits. (These figures are subjective, but in my opinion still damning – you can see the reality here.) This is so serious though, that the UN (United Nations) are sending a team to investigate Iain Duncan Smith’s reforms. This is important to me for many reasons as I know many people who suffer from mental health related illnesses. I have a history of severe anxiety, panic disorder, and clinical depression. In my early twenties I was signed off work due to these factors and the then little known ME (Myalgic Encephalomyelitis – better known as Post Viral Fatigue or Chronic Fatigue Syndrome). I left work and received Invalidity Benefit for a couple of years before John Major’s Tory government saw me fit to work. I suffered huge panic attacks amid years of debilitating depression, combined with self-harm and a variety of other symptoms, plus, I was raising my first child, but I was obviously fit to work as there were no physical symptoms. I vividly remember the government doctor telling me that I had no physical symptoms whilst my heart thumped and cramped so much I thought I was having a heart attack, and my legs became pure jelly. I could barely make it out of the examining room without collapsing. I was shattered, exhausted and lost, and spent the next few days at home a mess of tears, shivering loss and quite unable to think straight due to my antidepressants. Hubby worked part time and helped with my daughter as much as he could but I was a mess for those years. That was back in the early nineties. Have things changed much for mental health awareness since then. Yes, and no. Public perception is marginally better, but government compassion? No. 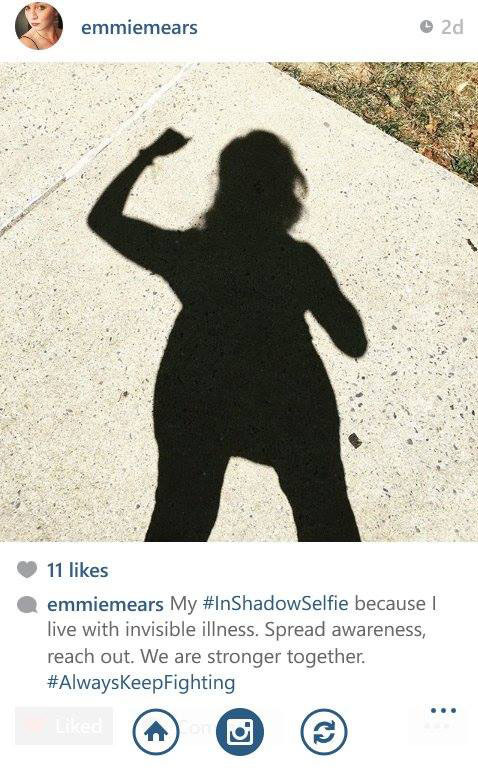 So, when I saw my friend, Emmie, post on Instagram her #InShadowSelfie last week, I knew it was something I wanted to do too, particularly as I am right now in the middle of a bout of clinical depression. I found Louise’s blog and checked out her posts about the hashtag, which you can find here and here. Anyway, I wanted to let Louise explain her hashtag…and I want you to go and support it! Find your shadow, take a selfie and post it on your social media! You don’t have to suffer from mental health issues to take part and every picture posted will help to build awareness! Louise, what prompted your idea to raise awareness to invisible mental illness with the hashtag and what made it personal to you? Hi Lisa. Thank you so much for helping me highlight this project. So, I read this article in Welfare Weekly. Beyond the money part, I was really upset by the list of mental health conditions the DWP say come without physical impairment… On what planet is this? At first I assumed they’d made a mistake because I’m a chick with a laundry list of mental health issues, four of which appear on this list, and most days I can’t get beyond my driveway without passing out. Alas, there’s no mistake. It would seem that because you can’t see bruising or bleeding, I’m not considered physically impaired by my petrified brain. I shudder to think how I’d survive without my family taking care of me. Some days, even the smallest task sends me into a spin. What’s your biggest frustration with insensitive attitudes to mental health conditions? I have two. Well, I have about fifty, but these are two I keep seeing a lot of lately. It irks me that people measure suffering. Or weigh suffering against suffering. Phrases like, “Get some perspective…” or “It could be worse…” I’m not a violent person, but this stuff sends me into a table-flipping rage. For starters, if it were that easy to get some perspective, I would have bought it by the bucket-load already. And secondly, I’m not about to tell anyone they don’t know real suffering while they’re shedding tears over a deceased family pet. I don’t assume to know that relationship, or how it worked, or what it meant. If the loss of a pet tears you in two, my only job, as a human being, is to be sympathetic. There are awful things going on in the world, but the strength of suffering will always be measured most by the person affected. And one more, the idea that people use mental health as some sort of “get out of work free” card drives me up the effin wall. Sure, I can’t go out to work… but then, what about the rest of my life that’s also on hold? People are very ready and willing to shout about me using my disability to get out of a day’s graft, but they don’t mention that it’s also the thing stopping me from being a bridesmaid at my best friend’s wedding in Cyprus. Or that it’s the reason I had to give up my horse. They don’t mention that I haven’t seen a film at the cinema in almost two years, that I have no love life, can’t pop to the shop for a bar of chocolate, go out with my friends at the weekend, go and visit my granddad in the hospital before he died. I just wish people would look beyond the little they know about mental illness. I wish they’d worry as much about mental health as they do about money. 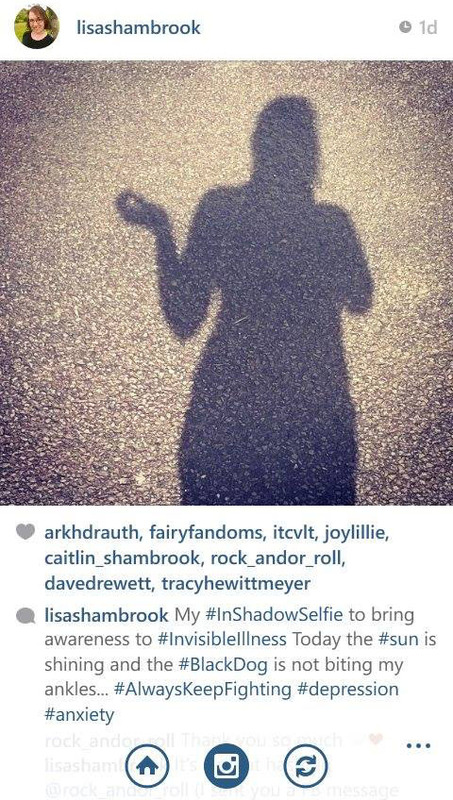 What do you hope the #InShadowSelfie will achieve as it grows? I want people to talk. I want people to feel like they’re not alone. I don’t want suicide to be a person’s only option. I want this thing to grow so big people see it, ask why, and what it’s all about. I don’t want people to feel afraid or isolated. I want mental health to be seen as suffering. I want accusing a self-harmer of attention seeking to become a thing of the past. I want people to stop saying anorexia is all about vanity. I want people to stop telling folks that are being crippled by depression to buck up. I want to join the fight to stamp out stigma. Thank you for explaining your hashtag to us, Louise, I truly hope it grows and people take it to their hearts. In my opinion, the government need to think twice before condemning so many people and before telling them they have no physical symptoms and are therefore fit to work. Does an illness always need to be physical before it’s debilitating? No. 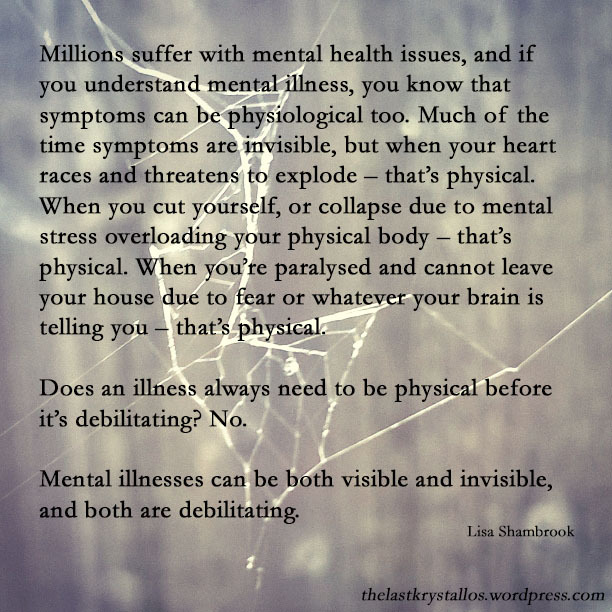 Mental illnesses can be both visible and invisible, and both are debilitating. Common physical symptoms of mental illness: heart palpitations, chest pain, rapid heartbeat, flushing, hyperventilation, shortness of breath, dizziness, headache, sweating, tingling and numbness, choking, dry mouth, nausea, vomiting, diarrhoea, muscle aches, restlessness, tremors/shaking. These can be both minor and major, but should never be dismissed. As always some people can work with these conditions, some cannot and should not, remember the extreme case of the pilot who brought down the Germanwings flight? Each case should be looked at individually, but with understanding, knowledge and most of all compassion. 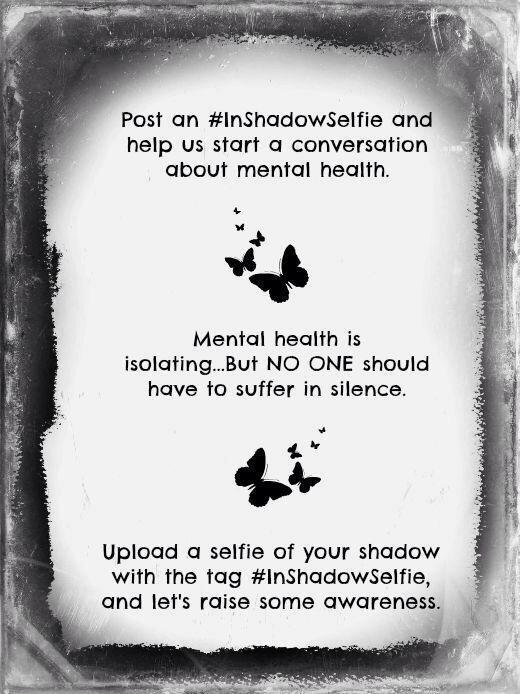 So, please share your #InShadowSelfie and show your support and help awareness of mental illness. Let’s spread our shadows across Instagram, Facebook and Twitter and show that we are not invisible! 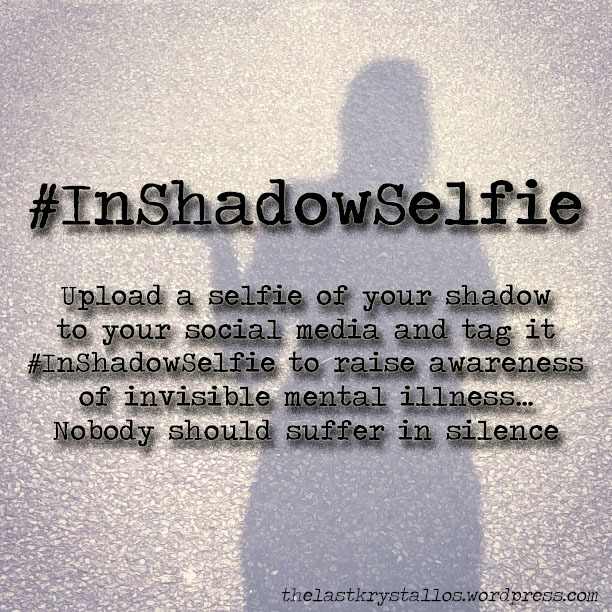 This entry was posted in Depression, Emotions, Mental Health and tagged #InShadowSelfie, agoraphobia, anorexia, Benefits, depression, DWP, government, hashtag, invisble illness, Louise Gornall, mental health, mental illness, mental illness awareness, panic, self-harm, social media on 2nd September 2015 by Lisa Shambrook. Self-harm is a behaviour that is becoming much more common in our society. understand it and be able to offer non-judgemental compassion to those who suffer. I’ve written about depression and about running away because they are subjects I live and know. I have self-harmed since I was fourteen-years-old and I expect to be fighting the urge for the rest of my life. It’s not a mental illness, but a behaviour. Sometimes we can deal with our mental illness issues, but support for our learned behaviour is much harder to come by and more difficult to stop. What is self-harm or self-injury? Self-harm is when a person intentionally physically damages or hurts their body. It’s easier to deal with physical pain than emotional pain – many of those who self-harm find a manifestation of physical pain can both ease and replace emotional pain that’s just too unbearable or too overwhelming. Sometimes depression or other mental illnesses can leave you emotionless or in a virtual black-hole, physical pain can bring you back from that void. 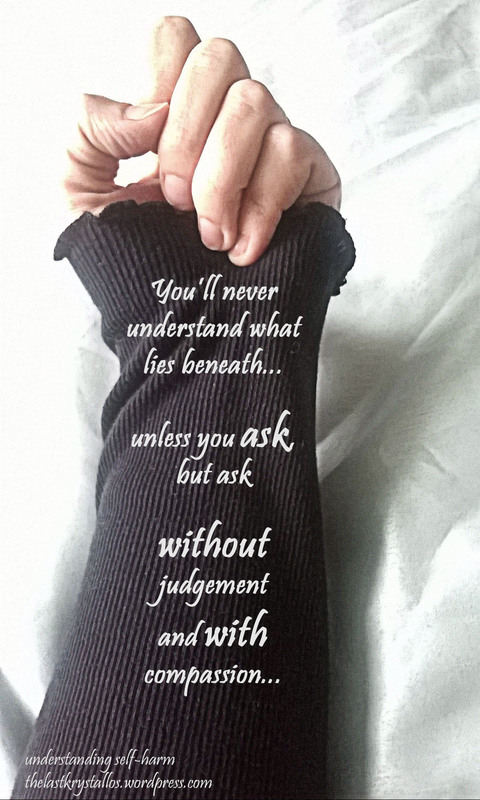 It’s a physical manifestation of your emotional pain – sometimes you need to show your pain, it needs to be visible. Control issues – you have control over the pain you’re feeling, especially if that emotional pain or situation is overwhelming. The reasons behind self-harming can be diverse from suffering abuse, to bullying, to PTSD, and is also related to many other conditions. A high percentage of sufferers already suffer from depression and/or anxiety. There are many myths* surrounding self-harm which are damaging to sufferers and to the level of compassion or criticism they receive. People who self-harm don’t do it to seek attention, or to be cool, or manipulative. In fact many people hide the fact that they hurt themselves. Many will wear long sleeves or clothes to cover their scars or injuries. They often blame ‘the cat’ or other circumstances for their injuries. In general those who self-harm are not suicidal. It’s often a cry for help, but often a very private one, as seen by the ability to hide the behaviour. 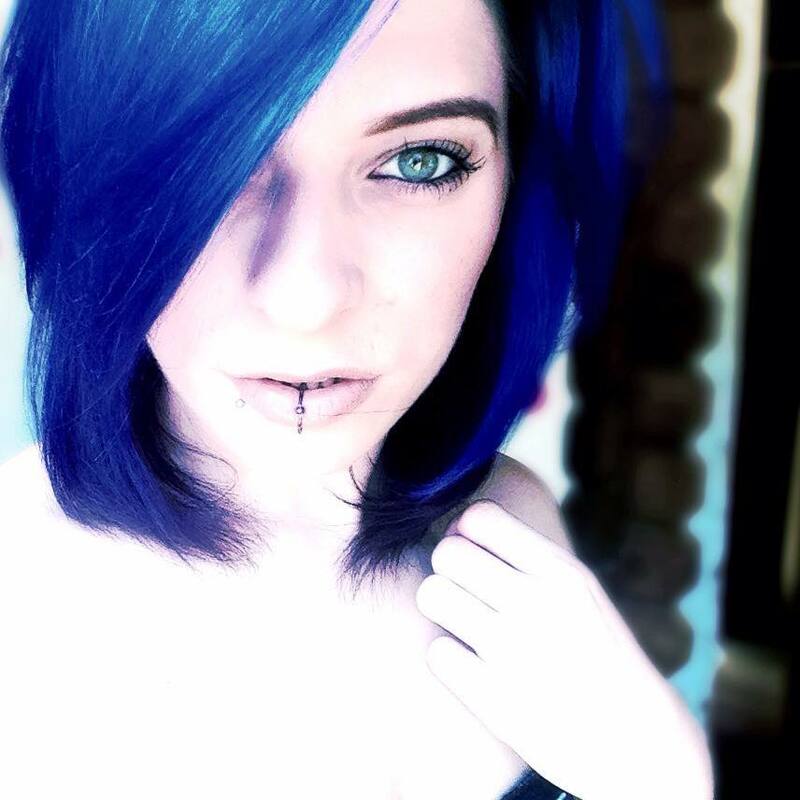 Please don’t believe that the only self-harmers out there are teenage girls, Goths and Emos. It’s an offensive stereotype. People who self-harm come from every part of society and every age range and gender. I, myself, am forty-three and my background is one of being a shy child, a people-pleaser and anxious. It’s also not a phase that sufferers will grow out of. Help can be found and behaviours can be changed, but it’s not a phase. It’s not true that cutting, many lines or tracks up and down arms, is the only or most common form of self-harm. It’s the most publicised form therefore a form that many new self-harmers take on. 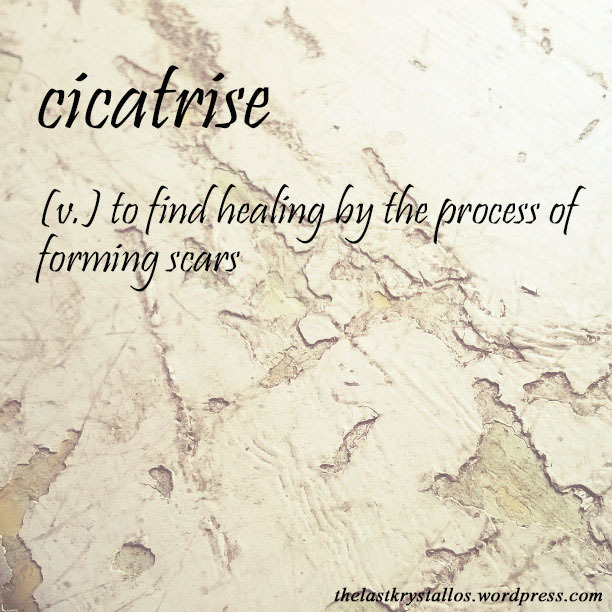 My own cutting is kept to one or two places, and consists of reopening old scars. Therefore my arms are not a mess of scars, just one or two that consistently reappear. Many cutters cut shoulders, thighs, stomachs and other locations, not only arms. Some people believe self-harm only consists of cutting. It is a large variety of behaviours including: hair pulling, scratching, biting, burning, drug-taking, eating disorders, alcoholism, and risk taking behaviour, to name but a few! So, how do you stop self-harming? Some people wear rubber bands and snap them when the urge to hurt hits. Sometimes the sudden pain from a band can suppress the urge. Take time out…breathe. There are plenty of breathing exercises for coping with anxiety out there and some can work for this too. Ride it out. The urge to cut usually lasts for a specific time, if you know your pattern, then try to ride it out. Resist for as long as you can. Breathe, let your emotions settle and see if you can resist the urge. Be with someone, you’re less likely to cut if you’re with someone who cares. Distract yourself. I have a stim (something to distract me, usually associated as a behaviour which helps you cope with a given situation) I carry an acorn cup with me, I have several, and when the urge to panic, or cut, or run appears my first action is to hold and stroke the acorn cup. It’s a soothing action which offers my mind a distraction and the space to allow myself to calm down. Along with distraction you should remove yourself from the situation causing the urge. Another thing is to identify your triggers. Know what causes your urge and see if you can find ways to deal with them. Lastly, find another way to express your emotions/pain: write, shout, sing, run, or scribble violently on paper. Find something which can replace the urge to self-harm. Finally, I want to say to those who self-harm, do not feel guilty. This is a behaviour and with help it can be overcome. There is no shame, no guilt and you are a worthwhile person. And to those who know someone who harms, talk to them – let them know that you’re someone they can talk to, someone they can share with. Often we are so scared people will judge, criticise or scorn that we hide things we need to talk about. The best way to stop harming is to be with someone who cares. I carry no shame or guilt with my scars, they are part of me and I love them. Sometimes they are red and angry, other times they fade away to white, gossamer threads, but they will always be there and I will love them – as they are me. * There are always going to be some exceptions to these rules. I know someone who got professional help for a condition and was asked why they weren’t self-harming along with their other symptoms. They went away and began cutting in the traditional form, because they felt they were expected to. This entry was posted in Depression, Emotions, Mental Health and tagged Anxiety, behaviour, cutting, depression, emotional stress, emotions, learned behaviour, mental illness, non-judgemental, self injury, self-harm, support, understanding on 12th August 2015 by Lisa Shambrook. Several billion years after its life starts, a star will die. Some will fade into a black dwarf and others will explode in a supernova. I’m not a scientist, nor do I understand astrophysics, but stars die and fade across our infinite galaxies – all the time. Do we notice them go? We cannot even comprehend the size of our universe, let alone its number of stars, but imagine if Orion’s Rigel (Beta Orionis), one of the brightest stars in our night sky, forming the Hunter’s left knee, went out? Or Mintaka, one of stars forming his belt disappeared – it would be headline news. For each star that fades, light is lost. On August 4th we remembered those who’d lost their lives in World War One. Many flames extinguished amid sacrifice. And yesterday we remembered a single star Robin Williams, who lost his battle with life itself. For each star that falls, we mourn. More often than not, we don’t control the way we go, but sometimes, our life is in our own hands and this is when death touches me more. I do not fear death. I’m comfortable with my beliefs and fear not walking into that valley, and it’s a route I’ve considered, holding my precious life within my own hands. Where is hope? According to official statistics, there were 5,981 suicides in the UK in 2012. Depression affects a fifth of all adults in the UK. Look around you, that’s 1 in 5 and we hide it well. We have the highest rate of self-harm in Europe. Mixed anxiety and depression is the most common mental health disorder in Britain, and 1 in 4 people will suffer some kind of mental health problem within a year. Several times yesterday, I saw the word choice being used. Yes, for most of us there is a choice, but the black dog and society sometimes remove choice and the black hole of depression offers no alternative. When I hit my true lows, when I’m sitting at the bottom of the pit with my head in my hands and my eyes closed – I cannot see those around me, I cannot lift an arm or ask to be pulled up. I cannot see further than the gloom and fog that surround me and sometimes the nothing removes my choice. Depression can be a killer. I am lucky, whether it be my faith, or my family, or my friends – someone is there to embrace me and lift me out even when I refuse to move. So, why, when mental health issues are so prevalent, are we still so unwilling to talk about them? Why are treatments so difficult to find? And why are so many suffering in silence? I’ve self-harmed since I was 14. Had 6 months of anti-depressants at 18 and was offered pointless group therapy. I had a nervous breakdown at 32, 6 more months of anti-depressants and 9 months of private counselling which successfully resolved one major issue. I rejoiced, believing my depression overcome. I soon discovered that depression is not something you get over, it’s something you get through, until the next time. During the next decade, depression and anxiety raised their ugly head time and time again. Anti-depressants are the first thing offered by doctors already struggling for resources. My experiences with anti-depressants are not fun. My family prefer me present though anxious and depressed, than an empty, emotionless zombie. I choose not to take anti-depressants for a variety of reasons: I don’t want to sleep my life away, I need my creativity, and I want to be me! Anti-depressants and meds have their place, and they have worked, short-term, for me. Last year I was offered ‘Stress Management’ to help conquer my crippling anxiety. I took the 6 week course, hoping to talk about and share experiences and find answers. While I won’t criticise the course, which was presented very well, it wasn’t for me. I couldn’t find personal answers or help during a weekly 2 hour slide show of things I already knew. If I want to talk or get personal help on the NHS several years will pass before help is offered. Most depressives won’t put themselves on that list, because they believe there are people more worthy, more desperate and in more need than they, which will be true until they become one of the statistics. Help isn’t offered until you do something desperate. So my family continue to live with a woman who is flawed, cannot answer the telephone, suffers huge bouts of insecurity and paranoia (even after almost twenty-three years of wonderful marriage to my sweetheart, I still ask “Are you sure you’re happy you married me? Wouldn’t you be better off without me?”). A mother who disappears or runs away when things get too much, who has scars that reappear, who panics, and who slips into interminable black holes. But you know what made me cry and gives me hope? My youngest listened to a friend who suffers all these things too, and said to her “It’s okay, if you ever need someone I’m here, because someone I love is like you and I know how to deal with it.” I’m crying because Robin Williams had people like that and still couldn’t win. Society needs to understand that depression is a hidden illness, and that it’s generally not something you get over. You never get over this depression thing – when people understand that, it will be easier for us all to get through, not over, it. Offer support and understanding…and don’t let the stars in your life fall. This entry was posted in Depression, My Family and tagged anti depressants, Anxiety, death, Depresssion, fade, fall, mental health, mental illness, Orion, Robin Williams, SAD, self-harm, stars, suicide, support on 13th August 2014 by Lisa Shambrook.